On June 18, 2014 in collaboration with the Undersea Hyperbaric Medical Society, Divers Alert Network sponsored the Medical Examination of Diving Fatalities Symposium. The talks covered specifics of autopsy in scuba fatalities, field investigation of diving accidents, the complexity of rebreather accidents investigation, integration of various aspects of an investigation into final analysis and principles of the epidemiological approach. Sudden Cardiac Death (SCD) while scuba diving was discussed extensively. While many cardiac-related deaths in scuba diving may be classified as “natural death” associated with preexisting cardiac conditions, the provocative role of diving could not be excluded in some cases. Cardiac causes were suspected in one-quarter to one-third of all recreational diving accidents in recent decades. Rates of cardiac-related deaths vary reflecting regional demographic differences and trends among divers. Current trends of the increasing age of divers are of concern, but on the other hand, cardiac-related deaths in the general population seem to be gradually decreasing thanks to preventive efforts to reduce exposure to lifestyle risk factors and to control involuntary risk factors. Thus, it is not possible to predict whether the current trends in scuba diving fatalities will continue, but cardiac issues will remain for a concern for divers in years to come. 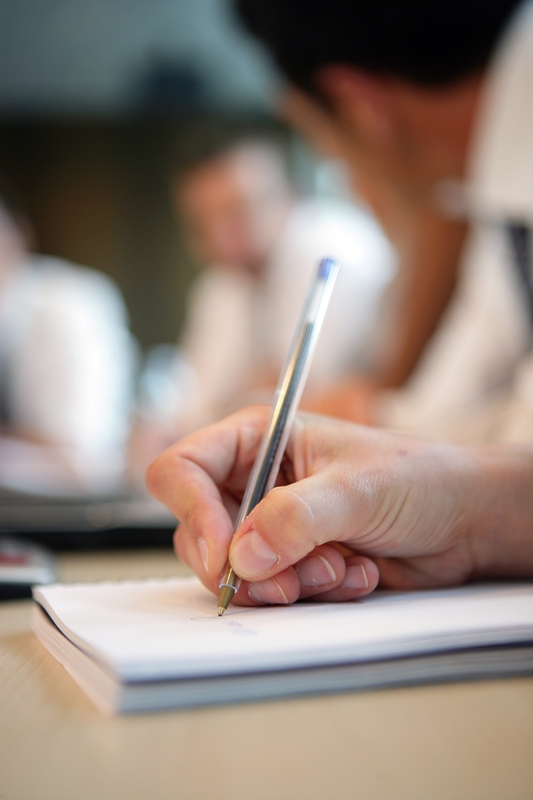 Effective trend monitoring requires reliable data including medical examination, and meetings like this one help to advance medical examination practice. In a recent report on diving fatalities in Australia during 2009, Lippmann and colleagues identified 12 cases among breath-hold (BH) and 9 cases among scuba divers (SD). Cardiovascular disease was the apparent disabling condition in 3 BH and 3 SD fatalities, and possibly in 4 more BH and 3 SD fatality cases. In comparison to the period 1977 – 2005 when 18% of deaths were caused by apparent cardiovascular diseases, the proportion in 2009 is much higher and more in-line with what DAN America reported for the period 1992-2003. Authors assume that this is probably due to the increased participation of older divers, which makes the current population of divers in Australia closer in age to the population of recreational divers in the United States. In this series, the age range of the victims who likely died of cardiac cause was 50 to 63 years. Seven out of 12 BH fatalities and four out of nine SC were older than 50 years. Other causes of disabling conditions in BH were apneic hypoxia (3) and aspiration (2), while in SC fatalities there were two cases of seizures and two of probable cerebral arterial gas embolism (CAGE). Being over-weighted and failure to establish positive buoyancy needed to surface contributed to three deaths. Besides the cardiac disease that may not be diagnosed previously, many victims may not have been physically fit for diving. Many were overweight and in one case the victim was extremely obese. A medical statement is not mandatory for snorkeling; however, this snorkel operator required a medical statement, but the extremely obese victim failed to declare various medical conditions (asthma, hypertension, arrhythmia and depression) and the medications she was taking. She died quietly, at the surface, a few meters from the boat. The autopsy did not document any apparent cause. While the authors justifiably suggest that in the case of an unfit customer who insists on snorkeling she could be assigned a personal guide, in this particular case even that may not have prevented the fatal outcome. In some cases victims knew that they had conditions which may turn fatal in diving (seizures, poor physical fitness) but failed to report them. However, most victims who died of cardiac causes in this series were apparently healthy. Age itself is not a disease, but it is associated with increasing incidence of coronary artery disease, which may remain asymptomatic for a long time. The discussion of who should undergo additional medical testing and how often is ongoing with no satisfactory answer in sight. This paper provides detailed accounts of each accident with an extensive expert comment and thus it makes a worthy read for all divers. Lippmann J, Lawrence C, Fock Andrew, Wodal T, Jamieson S. Provisional report on diving-related fatalities in Australian waters 2009. Diving and Hyperbaric Medicine. 2013. December; 43(4):194-217. Snorkeling-related, swimming-related or coincidental deaths? In “Snorkelling-related deaths in Australia, 1994–2006” John M. Lippmann, et al. presented an analysis of 140 snorkeling-related deaths that occurred in Australia during the period of 1994-2006. 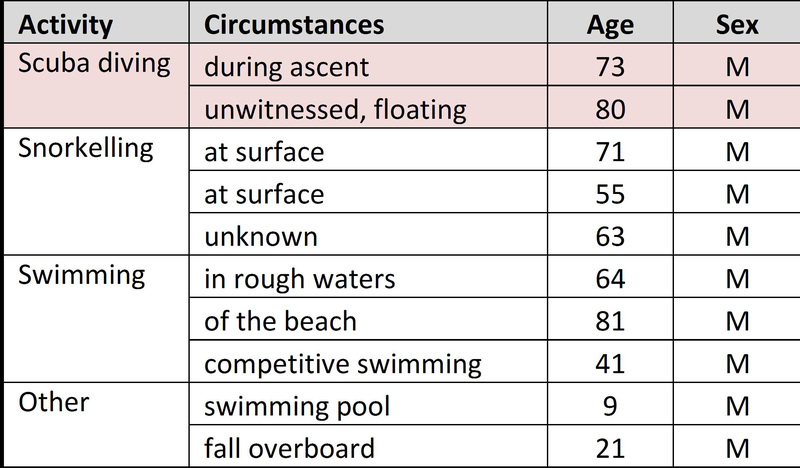 The majority of the cases occurred due to cardiac-related causes (60) or drowning while at the surface (33). Only 19 deaths occurred after prolonged breath-hold diving and 10 were caused by trauma. Cardiac cause was established based on medical examiners’ findings. In 34 cases there was a history of cardiac disease. In 19 cases cardiac pathology was established for the first time at autopsy. The remaining five there was neither a history nor conclusive autopsy finding. Medical experts believed these five occurred as a result of cardiac arrhythmias. Most deaths due to cardiac causes occurred in male snorkelers of a median age of 65, who were found silently floating in the water. Authors propose the term “fatal silent snorkeling syndrome” for these cases. 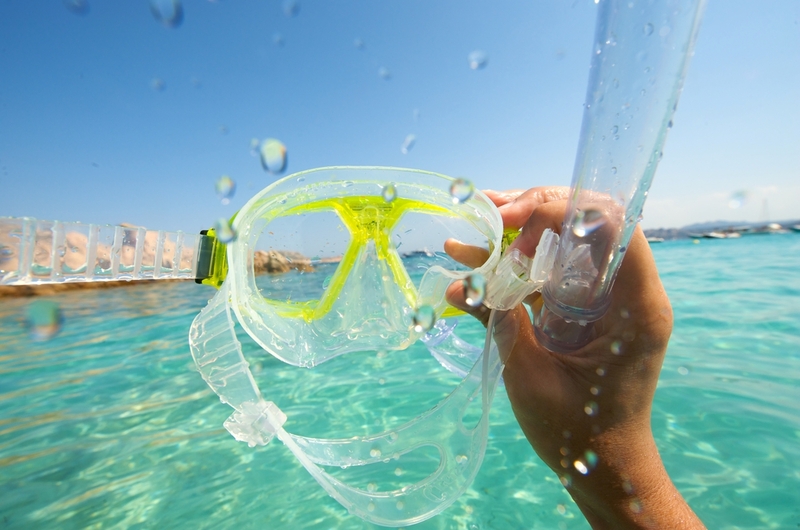 Overall, the incidence rate of snorkeling deaths is very small; with an average 10 cases per year and about 2 million snorkelers annually, it is approximately five deaths per 1 million snorkelers. In cases of cardiac death, there are about 2 deaths per 1 million snorkelers. While this small overall risk does not require any particular intervention, there are some people that may be at much higher risk. This includes individuals with a family history of sudden cardiac death and people with known heart disease. Among other causes of snorkeling death, there were four cases of epileptic seizures while snorkeling which may be either unrelated or provoked by water immersion (so called “water immersion epilepsy”). There were only 19 breath-hold diving deaths including prolonged or deep diving in apnea; however, the number of people practicing breath-hold diving was not known and the relative risk could not be established. One may reasonably assume that true breath-hold diving involves greater risk than surface snorkeling (when controlled for age). 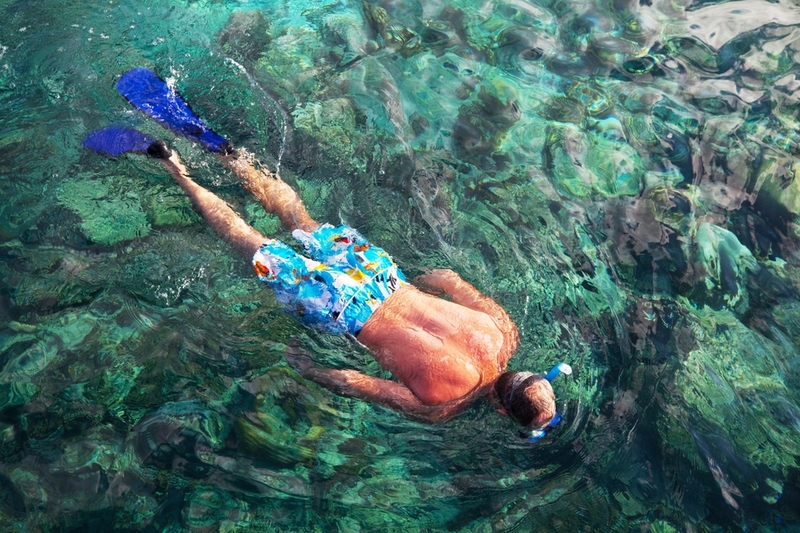 Snorkeling is widespread among recreational swimmers and does not necessarily involve submersion. Hazards for snorkelers are same as for swimmers, but statistics for drowning deaths were not compared here. According to this paper, in 2006 in Australia, out of 16 dive-related deaths, 10 were snorkeling related. Another source reports that diving-related deaths make up approximately 7% of drowning in open waters. Incidence rate for snorkeling deaths due to cardiac causes may not be different than incidence rate of drowning due to cardiac causes. The point is that “snorkeling deaths” and “swimming deaths,” with exclusion of true breath-hold diving deaths, may be the result of the same causes. While specific provocative factors may be present in immersion, beyond channelopathies and “immersion epilepsy,” they may not amount to a greater risk than the risk people are exposed to in their daily lives. The paper brings out many other interesting details and is worth a read. Scuba diving related or circumstantial deaths? “The number of water-related deaths in Cayman this year has already exceeded the annual average, with only half the year gone,” stated Cayman Island News in an article titled “Ocean claims another diver” posted on July 12, 2013. It further specifies that one victim died in swimming pool, one fell overboard and one competitive swimmer died during swimming in ocean. The remaining seven were attributed to snorkeling and scuba diving. As the title suggested, this seemed mostly to be scuba divers. The findings reflect general pattern of water activity related deaths. Drowning in a swimming pool most often affects children as in this case. Falling overboard from the cruiser happens most frequently to young males. Competition-related deaths generally occur in younger athletes, while death during leisurely activities in water regardless whether it is beach going, surface snorkeling or scuba diving occur mainly in older people. Average age in this series was 69.5 years old and all victims in this sample were male. Only in two cases was a possible trigger identified: one swimmer succumbed in rough waters and one snorkeler had pulmonary fibrosis that may have contributed to his demise. In all seven cases the death occurred swiftly and fits the definition of sudden cardiac death, which is most often caused by heart disease. In some cases victims may have been diagnosed with cardiac disease previously and in other they felt pretty healthy until their death. Most sudden deaths occur in people with moderate atherosclerotic changes that do not cause any symptoms and may not be detected on annual medical exam, thus call for more strict medical criteria for scuba divers seem unjustified. Besides, neither snorkeling nor beach going requires any certifications or medical approval. With older population staying longer active, it is unavoidable that some deaths occur in public, most of them unrelated to the specific activity. One could not speculate whether any of these seven deaths could have been prevented without unnecessarily denying older people right to enjoy active life.